Last night, the team behind foodie favorite Chelsea Market appeared before the Community Board 4 to rally support for their planned 330,000 square foot expansion. Several community figures spoke out against the plan on the grounds that it would destroy the character of the building, and it would contribute to the gentrification of the neighborhood. Ultimately, the board voted in support of the plan on the condition that developer Jamestown Properties give some of the space to affordable housing. Jamestown did not completely agree to the request, but a rep notes: “It’s definitely good news and we appreciate the process.” No matter what, it sounds like the team will have to donate a lot of space, money, or both to housing in the neighborhood as they expand. 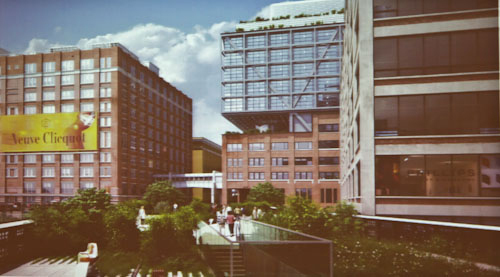 Head over to Curbed NY for more on the history of the expansion efforts.